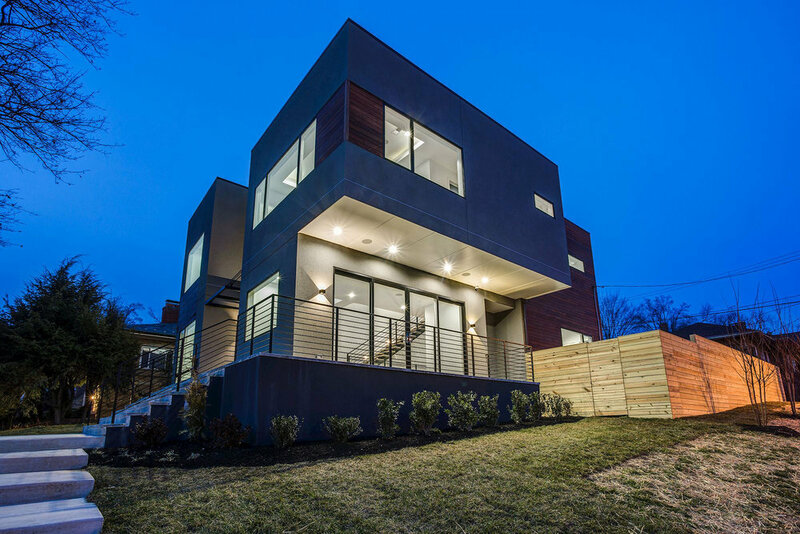 This design-build project is a new single-family residence on 16th Street. It is a two story contemporary home that includes a basement, open floor plans at first floor common areas, and spacious bedrooms on the top floor. The residence is consciously pushed back from the 16th Street as a way to preserve a large existing heritage tree on site. The project's sizing reflects the dimensions of houses on the opposite side of the street. Material choices of cement board siding, wood paneling, and stone veneer render the project contemporary, yet warm and inviting. Its massing, consisting of an interplay of boxes, allows for overhangs and balconies to be fully integrated into the form of the house.